I came across this great idea which I just had to share this with you. 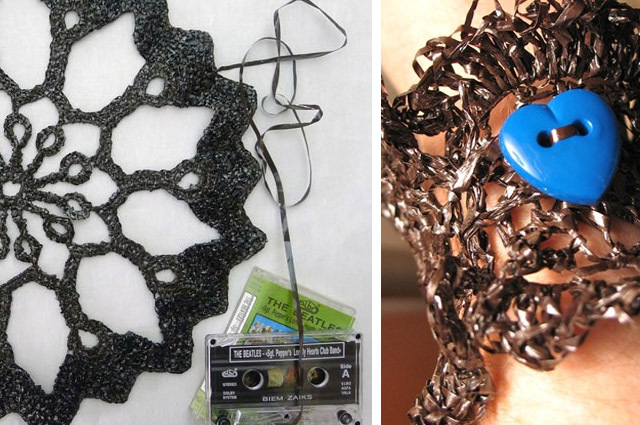 Maybe you have already seen it or tried it but for me it was new... crocheting with old cassette tapes. 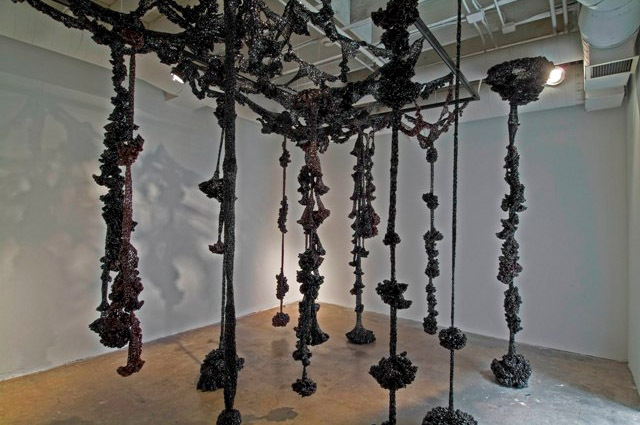 Honestly I never even thought of this but it is such a great idea and look at all the fun stuff you can create with it, going from doilies to jewelry to even art installation. So inspiring if you ask me. 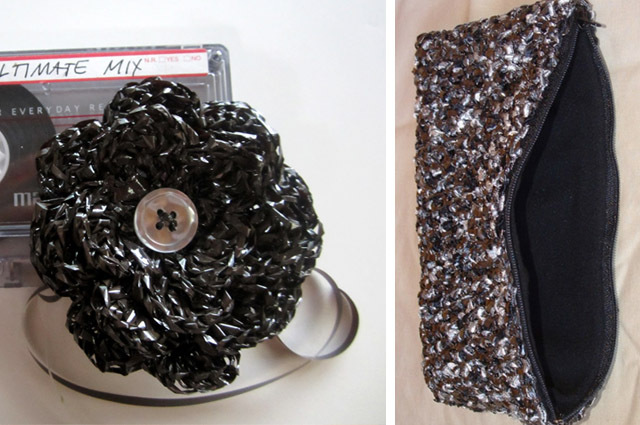 So let's get creative and look for those old cassette tapes and recycle them into something completely new ;-). Labels: Arts, crochet, Design, Trends, What's new??? I have heard it is a bit sticky to crochet. I have used strips cut from plastic bags. I've used cut up plastic carrier bags too and made pencil pots for my work colleagues - they came out well. I'd like to try tape but my son would not be pleased if I used one of his tapes - perhaps I'll buy one from a charity shop to experiment. Can I just say your posts are photographed beautifully Alexandra! Hi Ann, I have never used plastic bags to crochet but it is on my 'to do' list. Met this lady the other day and she showed some book covers she made from plastic bags. It looked very cute.